Home > Weight Lose > Weight Loss > Why I am Not Losing Weight? Not eating enough protein: Protein is extremely important if you are looking to lose weight. If the amount of protein you consume is 25 to30 percent of your total calorie intake, then you can boost your metabolism by 80 to 100 calories per day. Proteins also drastically reduce cravings and help prevent a slowdown in metabolism and weight regain. 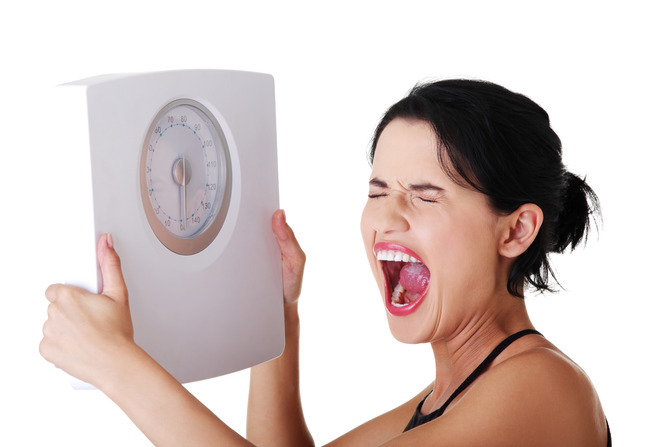 Losing it without realizing it: It is quite common to see the scale reflect the same weight for a few days or weeks. However, that doesn’t mean you aren’t losing fat. Body weight keeps fluctuating because of factors like the food that you eat hormones or water retention. Besides, it is possible to gain muscle at the same time as you lose fat. Use something other than the scale to gauge your progress. For example, measure your waist circumference and get your body fat percentage measured once a month. Also, how well your clothes fit and how you look in the mirror can be very telling. You May Also Like: Can You Lose Weight by Walking? Drinking sugar: Sugary beverages are at the top of the list when it comes to reasons behind weight gain. Our brains don’t compensate for the calories in them by making us eat less of other foods. But even if you have given up on colas and diet sodas, you can still gain weight from fruit juices or vitamin water, which are loaded with sugar. Instead, have whole fruits. Not lifting weights: Lifting weights help you build muscle mass, which is often burned along with body fat if you are not exercising. Resistance training like weight lifting helps prevent metabolic slowdown, and also helps the body burn calories even when at rest. Consuming too many calories: You need to keep a track of a number of calories you are consuming, even if it is healthy food that forms a part of your diet. Keep a calorie calculator handy and figure out how many calories you need to eat. Tracking also helps if you are trying to reach a certain nutrient goal, like getting 30 percent of your calories from protein. But don’t track calories like a hawk, do it for a few days to find out your consumption, and then adjust accordingly.